Avoiding spending money on a new PDA! Take that, consumerism! Rar! Why spend money on a new PDA when you can spend it on gaffer tape? And then on a new PDA? There’s a lot of sites out there which describe how the owners of high-end computer systems strive to make them even faster and more powerful by overclocking, installing liquid cooling systems and the like. They also do a lot of work to make the machine more stylish, funky, rugged, or any other style of box. Not one to be outdone, I decided to try it myself. I had an old piece of hardware that worked fine, but just needed some TLC on the case to bring it up to date. The machine – a Psion Siena 512k electronic organiser. I had been given this thing by a colleague when they bought a better model in December 2000. The system worked fine, but due to some design idiocy on the part of Psion*, after a few months of use, the flimsy casing around the hinge broke. This meant the ribbon cable connecting the main keyboard to the upper half, containing the screen and the number keypad, was exposed and vulnerable. So, I got out my trusty roll of gaffer tape and set to it. You can see the futile struggle against reality here: Gallery in new window. * Psion no longer make PDA hardware – this comes as no surprise when you’re confronted by the Siena. However, they did come up with Symbian, which I’m told is pretty good. This entry was posted in "Misc" and tagged Projects, Tech, Toys on 2004-12-16 by mjp. At the after-show party for Two, we did the traditional secret-santa style giving of presents, each with a rhyme dedicated to the person’s character (the ‘Netties’ – it’s a long story). Here’s the one that accompanied Val’s gift to me and my character, Moth. And a load of old Moth Balls! This entry was posted in Theatre and tagged Carlton Dramatic Society on 2004-12-16 by mjp. Hey There! Stretch That Face! I can now exclusively reveal the secret techniques used by the acclaimed director of ‘Two’, Debbie Fowler, to enhance the volume and quality of the acting. The cast were goaded into performing these dehumanising actions, each night, behind closed doors, so the paying public cannot see the treatment many amateur actors are subjected to. This Yuletide, remember the fate of many amateur thespians, forced into performing degrading monkey-faces for a sniggering, pointing audience of crew and theatre staff. Just £1 will buy a bus ticket from Wimbledon to freedom. Thank you for your attention. This entry was posted in Theatre and tagged Carlton Dramatic Society on 2004-12-13 by mjp. Christmas 1978. My sister is given ‘Jeff Waynes Musical Version of the War of the Worlds’, a solid double album, packed with wonderful typography, sleeve art and prog rock. She listened to it repeatedly over the next few weeks, and I did not leave the house as a result. The reason? The sequence with the lid of the Martian cylinder unscrewing. A immensely threatening sound, and for an impressionable six-year-old, utterly terrifying. The narration, by Richard Burton, mentions the cylinders leaving a ‘green mist’ behind them as they descended. Unfortunately, the suburban streetlights of Bedford lit up the foggy winter sky so that it looked green, like the Martians had landed, and were coming for me. Add to that the marching electricity pylons which cross Brickhill, and my fears were complete. It all added up to ‘Good Old-Fashioned Nightmare Fuel’. As I said, impressionable. Still, it became a favourite, and the album is now in my possession, and gets played from time to time. The backstage chats during ‘Two‘, found a number of us saying how much we enjoyed the record, some of us for the innovative synthesizer technology, some of us for the axe hero workouts and the presence of Phil Lynott, and some for the dulcet tones of David Essex (you know who you are). Since then, I’ve dug out the album again, and I’m listening to it now on my Walkman. It’s all the more creepy, considering I live in South West London, and work in Godalming, near Guildford. So the locations mentioned are all pretty close to home. Horsell Common in Woking (a town that would frankly be improved by a Martian cylinder landing on it), the destruction of Weybridge (ditto), Byfleet etc etc. I’ve been checking out a few links, too. And what do I find? Not one, not two, but three movies in production! Pendragon Pictures have a cheap CGI-enhanced version due for cinema release on 30 March 2005. Its supposed to be following the book directly, so that should be fun. If the trailers are anything to go by, they have budget and dodgy accents against them. Still I look forward to seeing it, if it gets shown at my local multiplex (faint hope). They were planning a contemporary version, with modern skyscrapers being destroyed, but they canned this idea in the ‘treading on eggshells’ mania of late 2001. The Jeff Wayne album itself is set for a 2005 re-release, along with, wait for it, a fully CGI animated movie, using the imagery and machinery from the album booklet. I’m looking forward to this more than anything. Finally, someone called Spielberg is making a film starring someone called Cruise, due for release on 29 June 2005. This is based on the late 80’s TV series, so don’t expect too much sticking to the book (not that doing that is an end in itself). Also expect mawkish sentimentality and explosions. A veritable feast! As an extra treat, I found this great gallery of War Of The Worlds book covers. And finally, the book that started it all. Here’s the full text, thanks to Project Gutenberg. The most touching part of the story as I read it now, are the final lines, missed from the album, and most other versions. 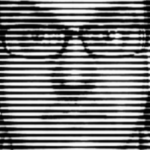 This entry was posted in "Misc" and tagged Film, Music on 2004-12-10 by mjp. Good old Pixar. Another great movie, this time with lots of parallels with Alan Moore’s Watchmen. In fact, it prompted me to reread it. Again. And this will mean I go back and reread V for Vendetta, and From Hell, and so on. A slippery slope indeed, but an immensely enjoyable one. This entry was posted in "Misc" and tagged Comics, Film on 2004-12-10 by mjp. 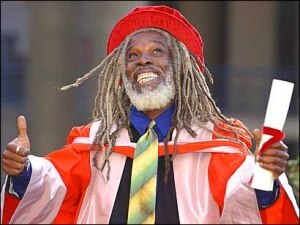 … and he has Billy Ocean in his attic, doing all the aging for him. 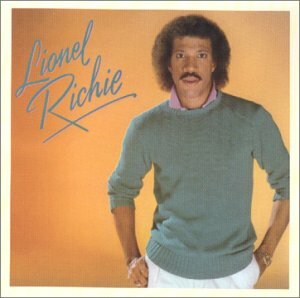 Lionel Richie back in the early 80s – smooth. 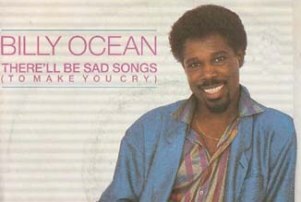 Billy Ocean back in the early 80s – smooth. 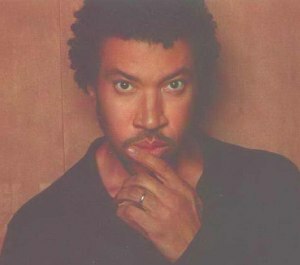 Lionel Richie now – looking good. A little too good, if you ask me. This entry was posted in "Misc" on 2004-12-09 by mjp. Bit disappointed really. Stephen Merritt, the genius behind The Magnetic Fields, The 6ths, etc, has written the music for a series of car advertisements in the US. Mercury, maker of the sort of really dull American cars visitors to the US are always disappointed to get when they hire, are using his music in ‘The Lucky Ones‘, which is an ad series designed to be quirky, amusing and poignant. The thing is though, it’s a marketing campaign for an automobile, and no amount of poignancy or tender love songs is going to change that. OK, this one looks quite cool. This entry was posted in "Misc" and tagged Music on 2004-12-09 by mjp. As mentioned elsewhere, my contribution to the after-show gift-giving and character-based poem reading was this, dedicated to Jethro, and his wife-beating character. It was written, and read, in the style of a ‘beat’ poet, befitting the beatings he would hand out. Us. I’m painting a picture here. Storm-clouds gathering, boiling sky. A theatre holds its breath. Intercom hiss. Thank you, I’m here Thursdays. This entry was posted in Theatre and tagged Carlton Dramatic Society on 2004-12-02 by mjp. Audience: 2 extra rows of seats, mainly empty, but it’s the thought that counts. Friends in: 5! Thanks Cassie, Daneeta, Rachel, Eirian and of course Mairi, hope you enjoyed it! Well, that was a good one! The audience actually did stuff like laugh, move about, clap and so on. Must be something in the water. The JMB was deadly serious tonight. No crying children, no muttered threats, just a stunned silence. Nasty. I looked round to see group of burly men at the bar next to me, with the leader (the burliest) indicating me to the barman. This never having happened to me before, I was rather taken aback. I did the usual chest-pointing and eyebrow-raising to ascertain it was me he was referring to. It was. I said to him, “I’m buying a round for my friends here…”, but he cut in with, “That’s fine, what do they want?”. It was like that bit in The Shining, “Your money’s no good here, Mr. Torrance”. “I like to know who’s buying my drinks, Lloyd”. It turned out he and his gang were colleagues of the battered Jayne, and they were so impressed with the show that they were buying the whole cast a drink. Most kind. And fatal. Bees round a honeypot, I tell you. Having a round bought for you because you entertained someone briefly – brings a tear to my eye. A Round of Applause! Har har. No applause ever felt sweeter. Of course, this is the slippery slope. First it’s free drinks, then come the drugs and getting smacked off your box on ecstasy pipes, the next thing you know you wake up in a bathtub full of ice, barely able to bid for your own kidneys on Ebay. But it’s early days yet. Jethro didn’t order Stella, curiously enough. He’s not method, clearly. Talking of booze, my creation Alan Dresden now pleads with the landlord for a drink. Maybe he needs a backstory. Perhaps one that involves eating a banana. Right Katy? This entry was posted in Theatre and tagged Carlton Dramatic Society on 2004-11-26 by mjp. Wow, thanks so much for a stunning show last night. Me and my flatmates were amused, moved, gobsmacked and sometimes scared. I laughed, I cried. Everyone of you was fantastic; spot on.There was so much tension and humour – often at the same time! … The best theatre I’ve seen for ages, congratulations to you all … brilliant! High praise indeed – let’s hope it stays this good! Here’s another review, while we’re feeling it. A friend of my husband came to see Two and was thoroughly impressed and enjoyed himself immensely, so much so that could not stop congratulating on everyone’s performance after the show and also sent me a text the following morning saying once again how much he had enjoyed it. This Friday just passed I met him again, and commented once again on Two and said that only the previous night he went along to some other fringe type theatre production to watch a performance which was staged by professional actors. He said, and he really does only ever speak the truth from his heart, that we were by far much better than the professionals! So how good is that then? Well done to you all once again, the praise still keeps coming! I also have just returned from visiting my Mum and Dad this weekend up in Suffolk, and she too mentioned how good the play was and thought it was the best thing she had seen the Carlton do (please bear in mind she has been supporting the Carlton for the past 11 years!) can’t be bad eh? This entry was posted in Theatre and tagged Carlton Dramatic Society on 2004-11-25 by mjp.